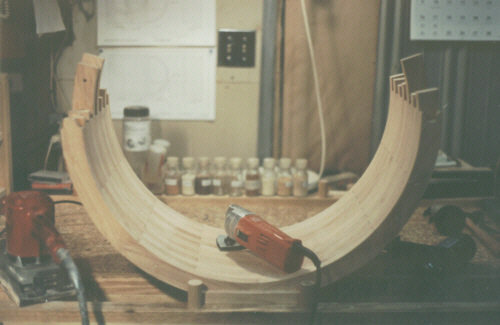 The next step is to fully sand the inside surface of the curve using a variety of sanding tools, including curved bottom sanding blocks as well as various power sanders. We begin with 150 grit paper and depending on the type of wood, may go as far as 600. 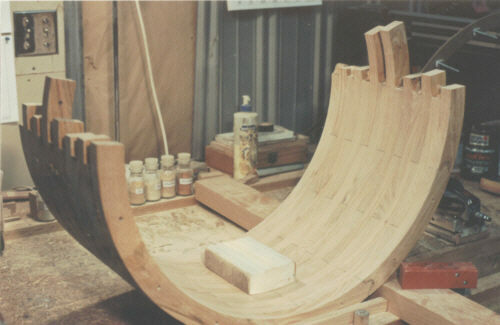 Several different sanders are used, most with thick cushioned bases, in order to better conform with the concave surface.